Tullibardine are best known as a distillery who produce a highland single malt scotch, but they also produce a collection of beers. 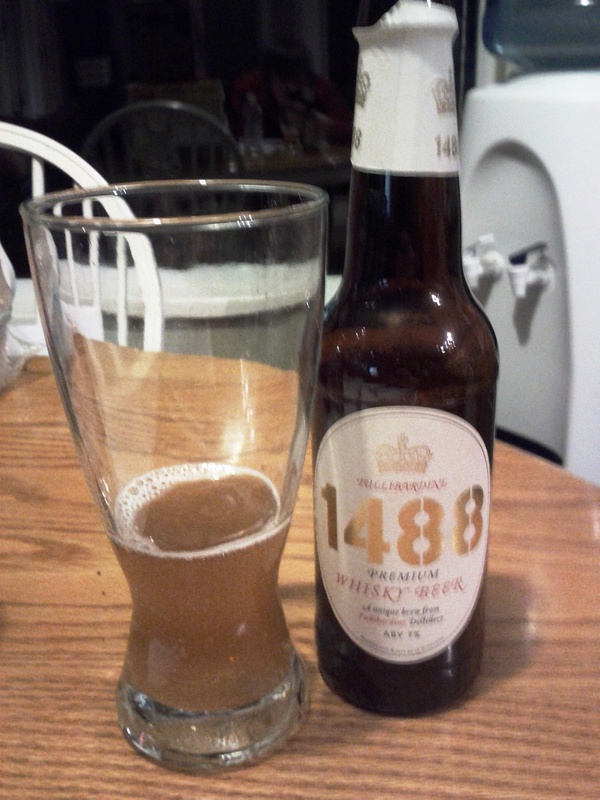 One of which is their award winning strong English ale, the “Tullibardine 1488 Premium Whisky Beer”. This bottled beer is strong at 7% and certainly one of the most expensive we’ve seen for its size. 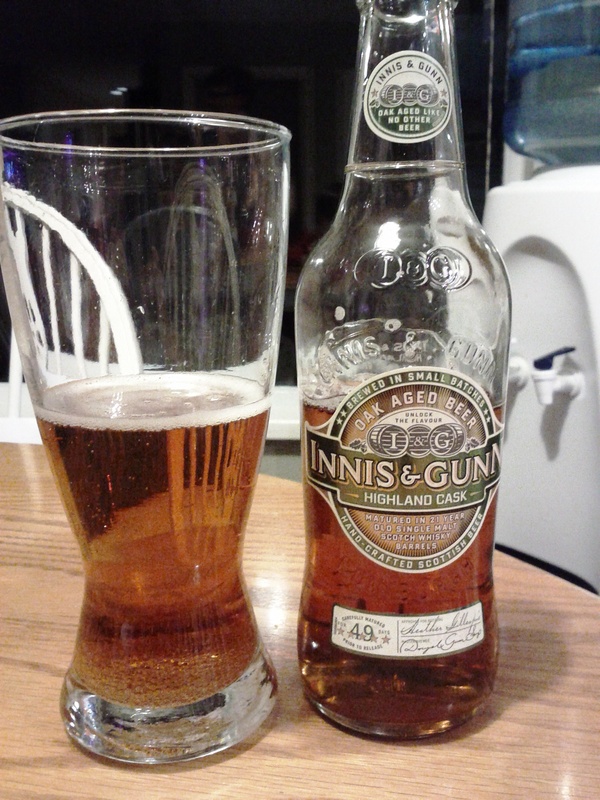 The process in which it is made is similar to the Innis & Gunn style of aging the ale in casks. The Tullibardine brewery age the ale in freshly disgorged casks for up to twelve weeks to add not only the richness of the oak barrel, but the inclusion of whisky that had been absorbed by the wood orginally. 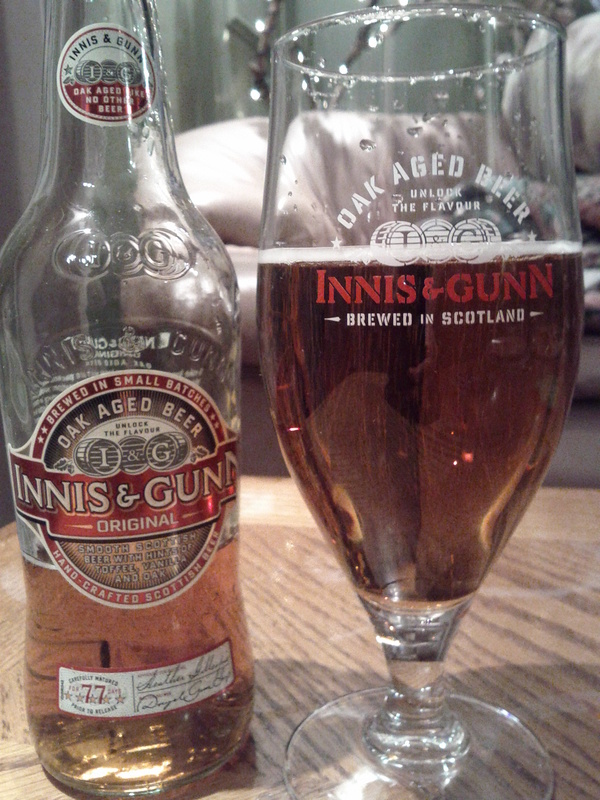 It has a strong nose, body and flavour, if whisky beer is your niche perhaps this one is up your alley. As a whisky enthusiast and Tullibardine advocator, I can’t help but love the idea of this beer — I became quite excited when first hearing about it. 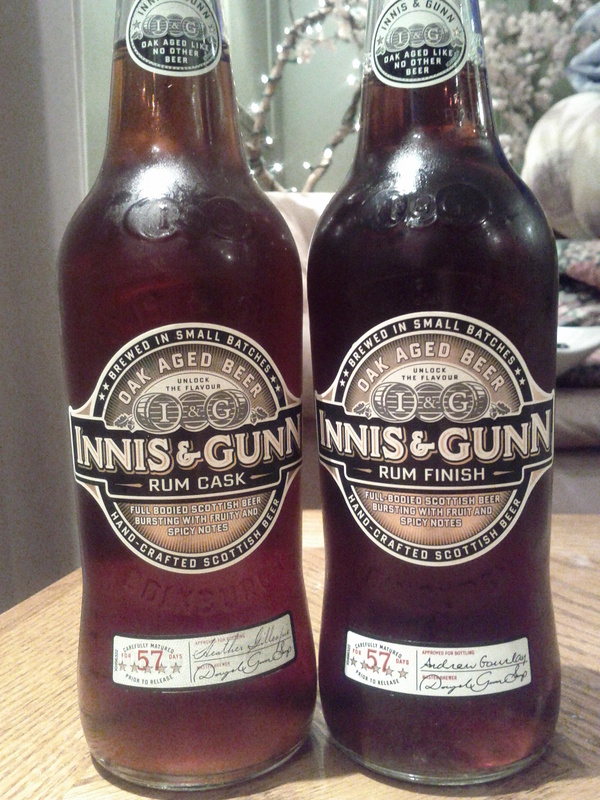 My excitement was some what dampered when I saw the price — even with $1 off, it’s almost twice the price of the original Innis & Gunn, which is a relatively expensive beer in its own right. 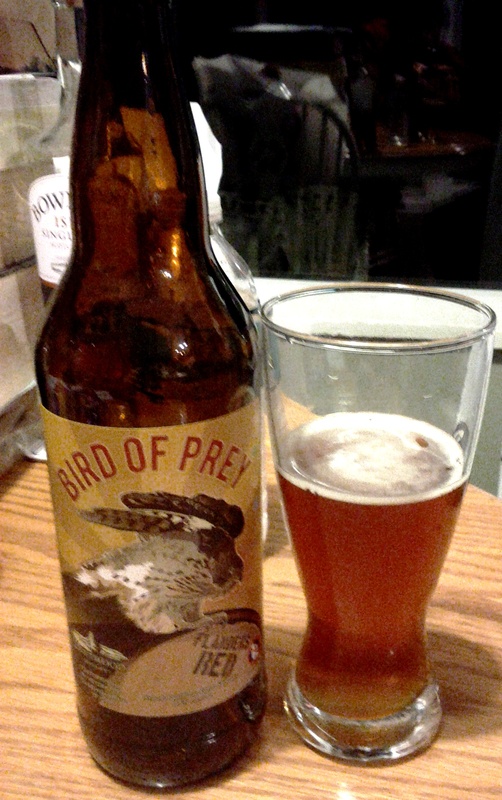 Money aside, I had to try this beer, and have done so several times before we conducted our tasting. Perhaps this explains why I like this beer so much more than James and Tristan; the Tullibardine Whisky Ale seems to be a beer of acquired taste. 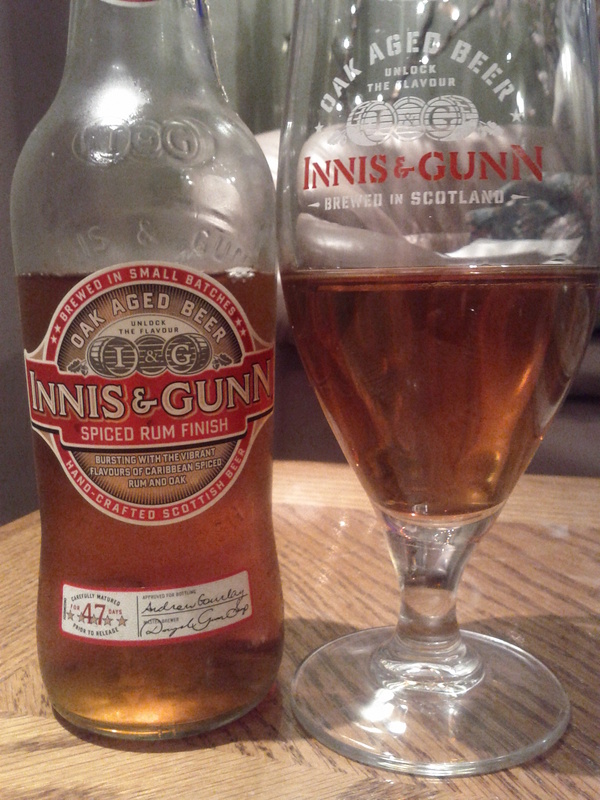 I think my familiarity with whiskies as well as this beer in particular permitted me to enjoy it more than the others. 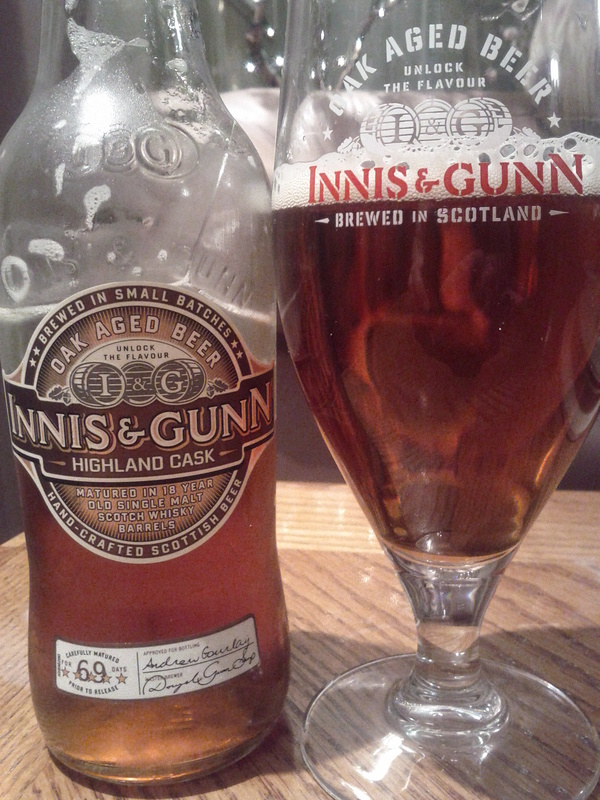 With that said, despite being an enjoyable whisky beer, assertively flavoured with a delicate touch of Tullibardine sweetness, this whisky ale is not for everyone, and even for those that it does work for, it’s not quite worth the price — I’d much rather have an Innis & Gunn in each pocket. The subtle complexities and obvious whisky notes of this ale are to be enjoyed but once in a while. One is enough, you don’t find yourself wanting another anytime soon, and it’s a nice treat to sip this unique beer from time to time. As one’s palate becomes accustomed to its flavours, I believe that it gets better and better with each visit. While whisky beers have become a favorite of mine, as with the brewery Innis & Gunn, I cannot help but find this particular ale of Tullibardine to miss the mark… or rather overshoot it. Instead of delivering a well rounded whisky beer that truly compliments the other ingredients, I’m left wondering what else could be in the ale aside from the oak and whisky. Upon first sniff I was overwhelmed by the strength of the whisky and could not locate the vanilla that the brewer claims is in there. The ale, honey or light amber in colour, was quite opaque and appeared more of a wheat beer than a traditional ale. It was a strong bodied beer to be certain, but the whisky taste seemed to overpower the sweetness of the vanilla or nuts that were added. The finish was what really fell flat for me. There was only the slightest amount of spice to the ale, and the whisky taste was certainly short lived. 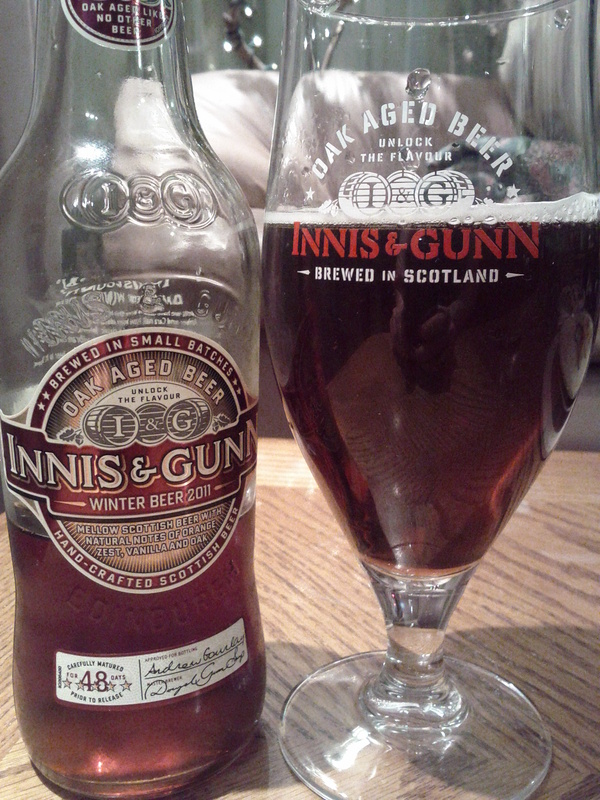 Personally this beer was too heavy on the whisky side and poorly balanced unlike their traditional 1488 ale. Unlikely I’d buy this beer again, even if the price dropped to a more reasonable amount. 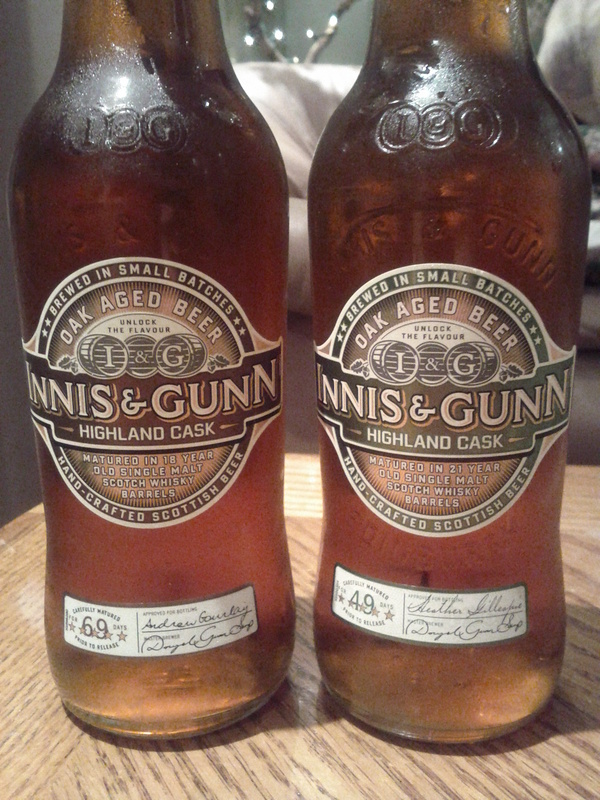 To continue the whisky beer theme, we offer you an immediate comparison to Innis & Gunn with Tullibardine and their version of whisky-inspired beer. Offering a similar scent to the I&G 21yr, yet with a more obvious citrus presence compared with hints of vanilla, it is a perfect invitation to try this beer. Initial impressions are good, with a low carbonation that creates a smooth texture, but also makes the beer quite heavy, lowering its consumption factor. What causes this beer to fall, in my eyes, is the taste and finish. 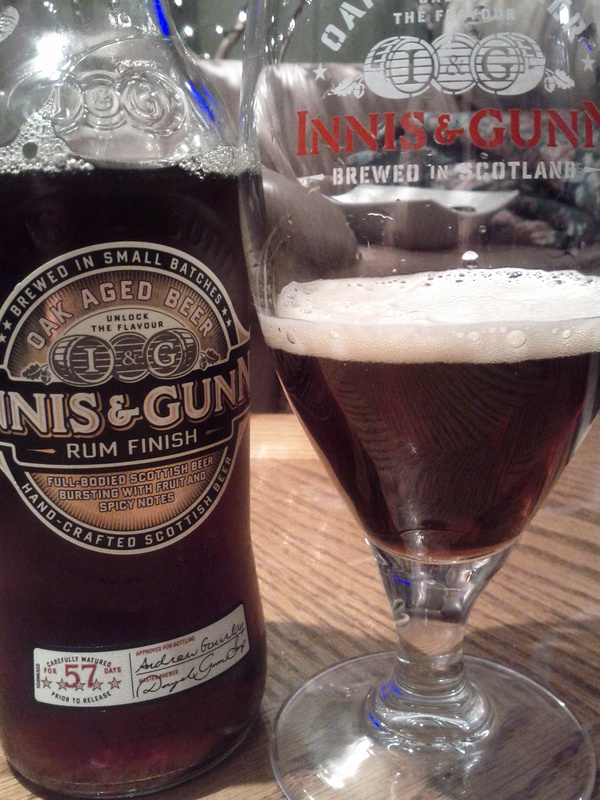 With the Innis and Gunn, the whisky qualities are subtle, adding to the character of the beer. Tullibardine, on the other hand, has a domineering whisky flavour, overpowering any other flavours which may be present. It is powerful enough to take away from the flavours naturally occurring in the beer and replace them with a glass of whisky. The finish does not help matters by dying extremely quickly, leaving the drinker wondering what happened? For those who like their whiskys, this may be the beer for you, as it essentially feels like having a very large, cool, whisky. For all others, I recommend trying this once, but no more than that.